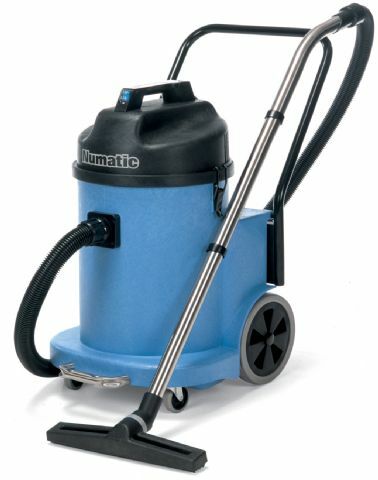 Large commercial / industrial wet & dry vac. With dual motors (2400W) giving 80L/sec airflow. Includes Structofoam container, tipper system and excellent mobility.